음악의 폭넓은 이해와 섬세한 감성으로 감동적인 연주세계를 가지고 연주하는 피아니스트 제갈복은 세종대학교 음악과를 실기 수석으로 졸업했다. 그 이후 도미해 University of North Texas에서 석사학위와 University of Texas at Arlington에서 Artistic Degree를 취득했으며, 실기장학금을 수여 받으며 졸업했다. 그 뿐만 아니라 The Midwest Clinic: An International Band and Orchestra Conference를 (Chicago) 수료했으며, Outstanding Performance Certification을 취득해 다양한 분야를 아우르며 전문 음악가로서의 기반을 다져나갔다. 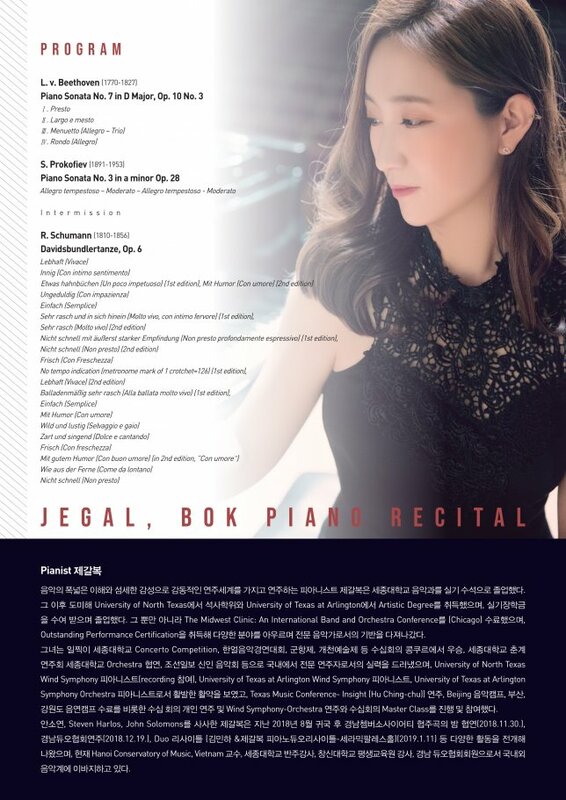 그녀는 일찍이 세종대학교 Concerto Competition, 한얼음악경연대회, 군항제, 개천예술제 등 수십회의 콩쿠르에서 우승, 세종대학교 춘계연주회 세종대학교 Orchestra 협연, 조선일보 신인 음악회 등으로 국내에서 전문 연주자로서의 실력을 드러냈으며, University of North Texas Wind Symphony 피아니스트(recording 참여), University of Texas at Arlington Wind Symphony 피아니스트, University of Texas at Arlington Symphony Orchestra 피아니스트로서 활발한 활약을 보였고, Texas Music Conference- Insight (Hu Ching-chu) 연주, Beijing 음악캠프, 부산, 강원도 음연캠프 수료를 비롯한 수십 회의 개인 연주 및 Wind Symphony-Orchestra 연주와 수십회의 Master Class를 진행 및 참여했다. 안소연, Steven Harlos, John Solomons를 사사한 제갈복은 지난 2018년 8월 귀국 후 경남쳄버소사이어티 협주곡의 밤 협연(2018.11.30. ), 경남 듀오협회연주(2018.12.19. 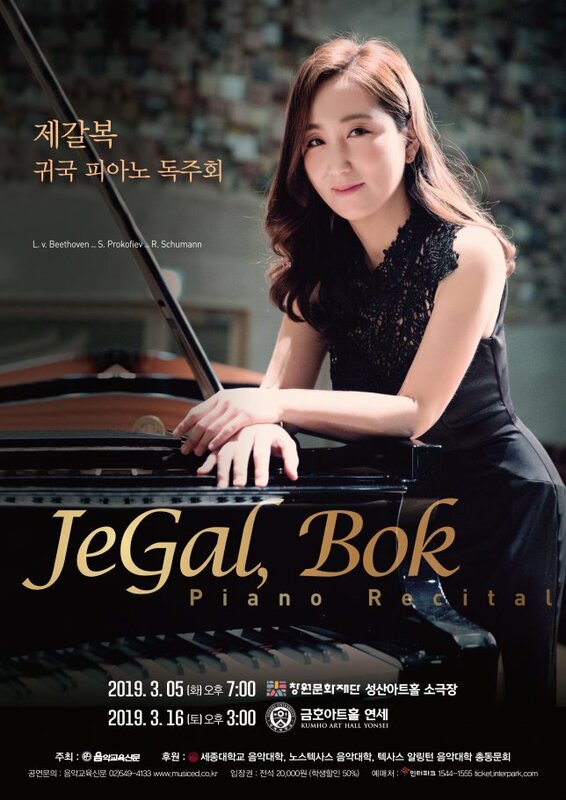 ), Duo 리사이틀 (김민하 &제갈복 피아노듀오리사이틀-세라믹팔레스홀)(2019.1.11) 등 다양한 활동을 전개해 나왔으며, 현재 Hanoi Conservatory of Music, Vietnam 교수, 세종대학교 반주강사, 창신대학교 평생교육원 강사, 경남 듀오협회회원으로서 국내외 음악계에 이바지하고 있다.